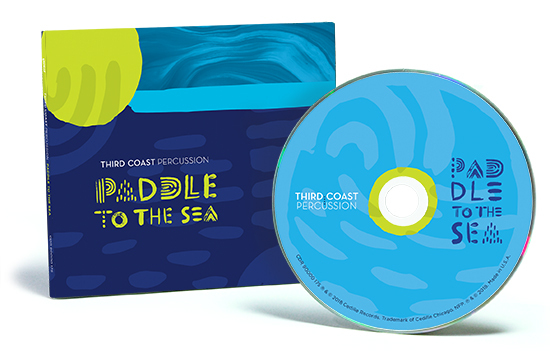 After their 2017 Grammy Award for Best Chamber Music/Small Ensemble Performance, Third Coast Percussion returns to Cedille Records with an album inspired by the classic children’s book and film “Paddle to the Sea.” This album includes music collaboratively composed by the four members of Third Coast Percussion as an updated sound track for the film, as well as the other water-themed works that provided inspiration to the quartet as they composed this music. These include works by American composers Philip Glass (arranged by Third Coast Percussion) and Jacob Druckman, as well as music from Zimbabwe’s Shona people, shaped by Third Coast Percussion under the tutelage of master mbira player Musekiwa Chingodza. Click here to purchase this album today!